Known in the industry as the Red Rocker, Sammy Hagar had arrived in 1977 with two solo albums under his belt having enjoyed previous notoriety with Montrose. The 'blue collar' champion would also enjoy success with anthemic rockers such as Your Love Is Driving Me Crazy, I Can't Drive 55, Heavy Metal and There's Only One Way To Rock. Riding high on the success of his 1976 debut album Nine On A Ten Scale, both the audience and listeners are treated to a set that combines highlights from his debut and a glimpse of his latest 'Red Album'. 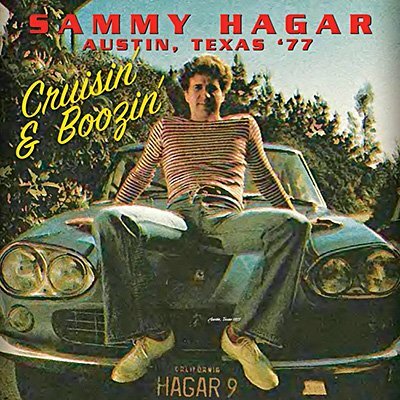 The hard rock brand of Sammy Hagar has been adopted by many of his contemporaries such as Bon Jovi and Guns N' Roses since his 1976 debut and this 1977 performance in Austin, Texas shows just how much respect Hagar commands. It's live and alive and stands as one of his greatest performances in his post-Montrose, pre-Van Halen period. Echoes proudly presents the entire WBCN-FM broadcast of Sammy Hagar's explosive performance in Austin, Texas from April 1977 for the Rock Around The World Radio Show.